Rev. Melton paints his house. 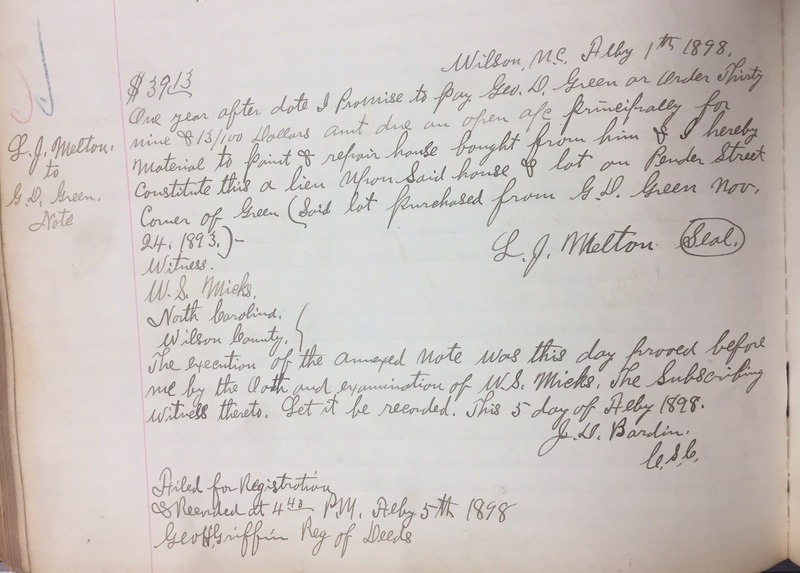 On 1 February 1898, Leavy J. Melton purchased $39.13 of paint and other materials on credit for improvement of a house at the corner of Pender and Green Streets. Melton bought the paint from George D. Green and in exchange gave him a lien on the house, which he had purchased from Green in 1893. Deed book 46, page, Register of Deeds Office, Wilson. ← She is proud of her name.